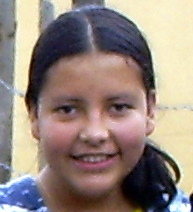 Larissa is a junior high student here in Panajachel. She is also an animal lover who cares about the well being of the many street dogs and cats in her community. For her entry into an international science fair, Larissa has published a very impressive study that she conducted over the last weeks. The idea came to her when her class was introduced to Ayuda. Students were taught the importance of sterilization, vaccinations, and proper pet care. The training included ways to engage the neighborhoods to help act as humane shelters without walls for unfortunate roaming animals. The students were also taught standardized WSPA animal survey methods. Applying these methods, Larissa and her fellow classmates conducted an initial survey of roaming animals along the lake front. Following the classroom work, Larissa decided to take on her own project. She would survey a very critical portion of her village, the mercado. We are very impressed with Larissa’s commitment and treasure her work. The results of her study will greatly help to assess and schedule captures and treatments of 37 surveyed dogs. We encourage you to select the Virtual Science Fair icon below to read Larissa’s study about the street dogs of Panajachel.